Widden Stud’s Zoustar, who will shuttle to Tweenhills Farm in Gloucestershire for the 2019 breeding season, enjoyed a tremendous afternoon on Saturday when his daughter Sunlight led home a one-two-three for the son of Northern Meteor in the Group 1 Coolmore Stud Stakes (6f) at Flemington. The sole filly in the field, the Tony McEvoy-trained Sunlight kept up the early pace with Written By before hitting the front 200 metres from home. Zousain mounted a strong challenge but Sunlight kept on well to win by half a neck with a further length back to Lean Mean Machine in third. Zoustar is one of Australia’s most exciting stallion prospects who won this race back in 2013, emulating the late Northern Meteor, winner of the race in 2008 for trainer Gai Waterhouse and owners Gooree Park Stud. Already off to a strong start at stud, Zoustar’s Australian fee increased from AUS$44,000 last season to AUS$60,500 this year, and it would be no surprise to see it rise again after supplying his maiden Group 1 winner. Having seen Zousain denied in the Coolmore Stud Stakes, Chris Waller was on the mark thanks to the talented Shillelagh adding a second Group 1 to her CV in the Empire Rose Stakes (1m). The victory looked in doubt halfway down the Flemington straight as jockey James McDonald searched for room, but he was able to guide the daughter of Savabeel through a tight gap to produce her with a winning challenge. The Darren Weir-trained Extra Brut sprang a surprise at Flemington when running out the shock winner of the Group 1 Victoria Derby (1m4f110y). In a race where the pace was electric from the start, many of the early leaders dropped away in the home straight as the early fractions took their toll. That allowed jockey John Allen and Extra Brut to unleash a challenge out wide and go on to win by a length from Stars Of Carrum. It was a very  Derby Day @FlemingtonVRC with three Group winners including the G1 Kennedy mile with #BestOfDays. Godolphin added another Australian Group 1 to their haul of top-level events when the James Cummings-trained Best Of Days produced a late surge to claim the Kennedy Mile. Former winner Le Romain hit the front in the straight but Best Of Days, previously in the care of Hugo Palmer, produced a fine turn of foot to take the prize by half a length. Just hours after Best Of Days’ success in the Kennedy Mile, Sheikh Mohammed’s Godolphin operation was celebrating another top-level victory when the Charlie Appleby-trained Line Of Duty prevailed in the Breeders’ Cup Juvenile Turf (1m) at Churchill Downs on Friday. Appleby and jockey William Buick had to survive a stewards’ inquiry after bumping Uncle Benny as Line Of Duty delivered his winning charge. After a lengthy wait, the result remained unchanged to spark joyous scenes among the Godolphin contingent. 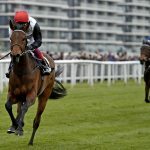 Line Of Duty’s dam, the Rock Of Gibraltar mare Jacqueline Quest, had not been so lucky in 2010, having crossed the line in front in the 1,000 Guineas only to be disqualified and placed second for causing interference to Special Duty. Line Of Duty (Galileo) is one of four Group/Grade 1-winning juveniles for Godolphin in 2018, alongside Quorto (National Stakes), Royal Meeting (Criterium International) and Royal Marine (Prix Jean-Luc Lagardere). Bred by Triermore Stud, Line Of Duty was sourced at last year’s edition of Book 1 of the Tattersalls October Yearling Sale for 400,000gns. Newspaperofrecord produced an eye-catching performance at Churchill Downs on Friday when the Chad Brown-trained filly was a runaway six and three-quarter length winner of the Breeders’ Cup Juvenile Fillies Turf (1m). She is another feather in the cap for Ballylinch Stud’s exciting young sire Lope De Vega, who has now supplied seven winners at the highest level since joining the stallion ranks. Newspaperofrecord, raised at Richard and Sally Aston’s Goldford Stud, was a 200,000-guinea purchase at Book 1 of Tattersalls’ October Yearling Sale in 2017. 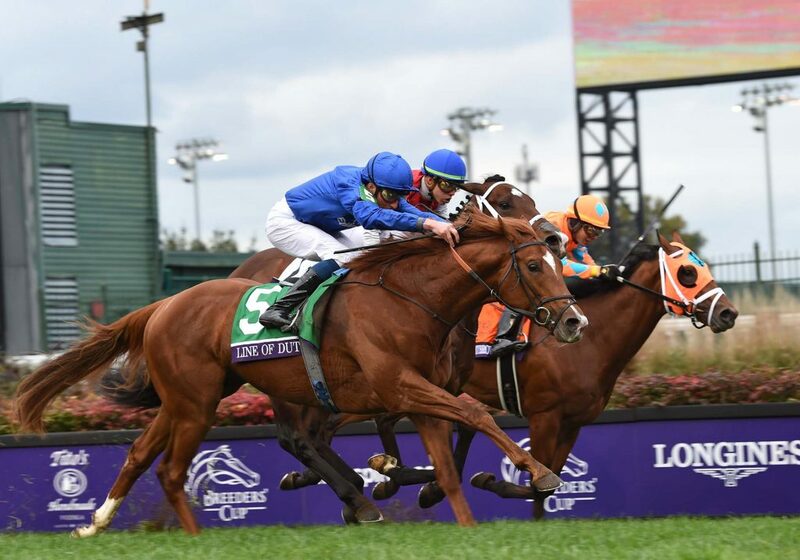 A fine front-running ride from Joel Rosario on board the John Servis-trained Jaywalk secured victory in the Breeders’ Cup Juvenile Fillies (1m½f) on Friday. Legendary trainer Bob Baffert looks to have an exciting prospect for next year, as Game Winner upheld his unbeaten record when claiming the Breeders’ Cup Juvenile (1m½f) by an easy two and a quarter lengths. 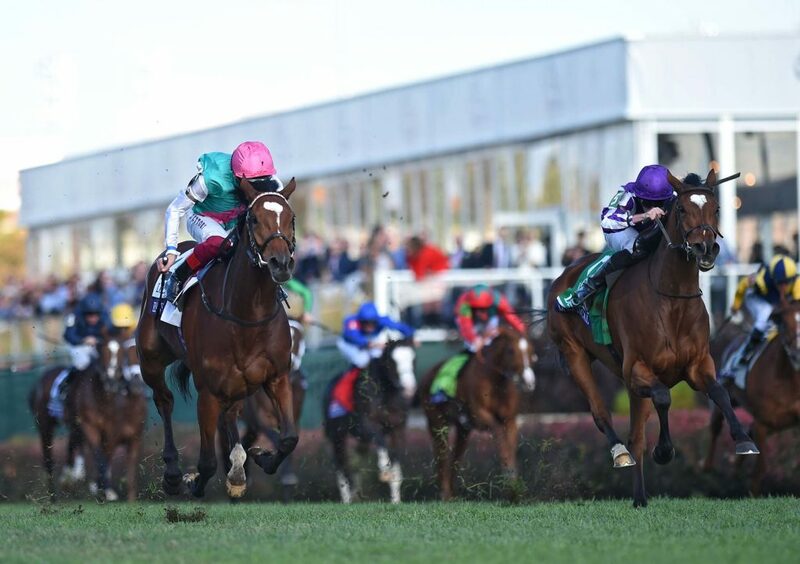 Dual Arc heroine Enable added further lustre to her impressive CV with a hard-fought victory in the Breeders’ Cup Turf (1m4f) at Churchill Downs on Saturday. Frankie Dettori settled the daughter of Nathaniel in fifth before making his challenge four-wide turning for home, looking for fresher ground on a track that had seen plenty of rain in the build-up to the meeting. The Aidan O’Brien-trained Magical went with Enable and the two fillies had a good battle up the straight, with the four-year-old Enable having too many guns for her three-year-old rival, scoring by three quarters of a length. It was nine lengths back to Sadler’s Joy in third. Dettori was making it a double on the day in the Khalid Abdullah silks after delivering the Sir Michael Stoute-trained Expert Eye with a perfectly-timed challenge to land the spoils in the Breeders’ Cup Mile (1m). 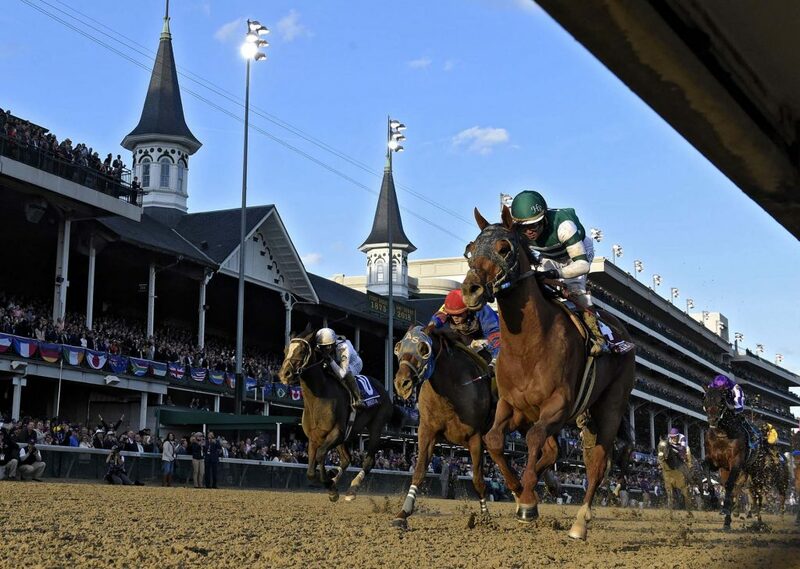 The Breeders’ Cup Classic (1m2f, dirt) saw a gutsy performance form the John Sadler-trained Accelerate, who cemented his case as America’s top older horse with a length success over Gunnevera under Joel Rosario. The son of Lookin At Lucky is owned by the Hronis brothers. Outstanding European performer Roaring Lion, trying dirt for the first time, broke alertly form his inside draw but started to struggle as the race developed on his outside and was allowed to come home in his own time. Thunder Snow ran well for Godolphin in third, while Coolmore’s Mendelssohn finished fifth after setting the pace under Ryan Moore. California trainer Peter Miller enjoyed a memorable Breeders’ Cup sprint double, with Stormy Liberal taking his second Turf Sprint (6f) under Drayden Van Dyke and Roy H recording a decisive success in the Sprint (6f) on dirt under Paco Lopez. Both horses race for Rockingham Ranch and David Bernsen. Brilliant filly Monomoy Girl (Tapizar), controversially disqualified after passing the post first on her previous outing in the Grade 1 Cotillion Stakes at Parx, made amends with a length triumph in the Breeder’s Cup Distaff (1m1f, dirt). Trained by Brad Cox, Monomoy Girl travelled well under Florent Geroux and kept on strongly to defeat the Chad Brown-trained Wow Cat by a length. Brown did have reason to celebrate earlier on the card after the ex-French trained Sistercharlie (Myboycharlie) and John Velazquez ran down Godolphin’s Wild Illusion and William Buick in the Breeders’ Cup Filly & Mare Turf. The Dirt Mile went the way of the Michael McCarthy-trained City Of Light under Javier Castellano, while Shamrock Rose caused something of an upset in the Filly & Mare Sprint for Mark Casse and Irad Ortiz Jr. Legendary trainer Luca Cumani trained his last Group 1 winner on Sunday when God Given, owned by St Albans Bloodstock, landed the Premio Lydia Tesio (1m2f) at Capannelle in his homeland. The daughter of Nathaniel, who had already won a Group 2 this season, held off the challenge of fellow European raiders Nyaleti and Snowy Winter to secure a memorable success for Cumani and jockey Jason Watson, Britain’s champion apprentice celebrating his first strike at the top level. Cumani announced last month that after 43 years of training he would be retiring at the end of the year to focus on his breeding operation at Fittocks Stud. Declan Cannon, last seen riding in Britain in 2013, enjoyed a third Grade 3 success in his Stateside adventure, partnering two-year-old filly Oxy Lady to a five-length victory in the Tempted Stakes (1m) at Aqueduct on Friday. Oxy Lady is trained by Durham native, Jack Sisterson. The Group 1 Gran Premio Enrique Acebal (1m2f, three-year-old fillies) at San Isidro in Argentina was won by Mirta. She is a daughter of British-bred Treasure Beach, runner-up to Pour Moi in the 2011 Derby. Subscribe to receive Europe's leading horseracing magazine before anyone else.